FIGHTING FOR DREAMS. : I recently had the opportunity to be in a show with some amazing artists recently over in San Fran. In the mix was Maxx242 (the host), O.G. Abel, Jeff Soto, Munk One, and many others. I wasn't able to attend, but everything was well recieved. IThings have been greatly lately. Doing some pieces for Upper Playground, Plan B Skateboards, Target, Hasbro, Icon, as well as getting new releases lined up for Legacy of Defeat. There are a lot of new illustrations on the horizon, however I have updated a few pieces from the Fighting for Dreams Show as well as Flow Snowboards that were done for this current season. LEGACY OF DEFEAT... :Finally. 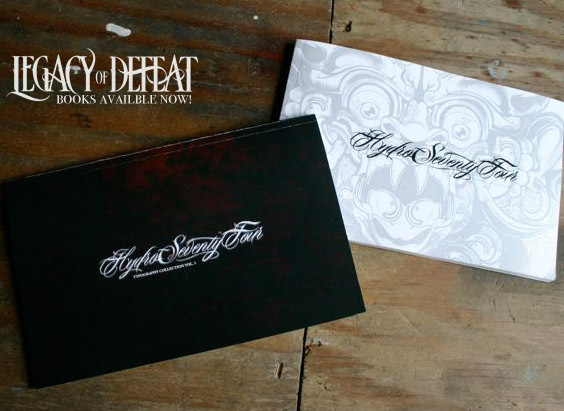 The first two Hydro74 books are ready for order over at Legacy of Defeat. There will be a full site coming soon, it is in progress. Check out the Blog to see images and details! I..I have been quite busy! 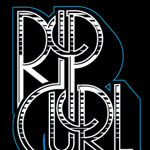 Just wrapping up a whole line of skateboards for Plan B, working with Rip Curl, Rossignol and a few others on some projects. I'm also getting ready for Magic over in Vegas. I'm looking forward to the small break before September hits. I will be updating this site very shortly, keep posted for new illustrations. Shirts are selling really fast. Thank you to those who have purchased them as well as those who support Hydro74. It is really meaningful to have such a great list of designers as friends!!! And one request: Do something nice for someone this week. Share a file, give a tip, or just drop a email to someone random and tell them they are doing something good! SOME NEW UPDATES : Over the past couple weeks, Hydro74 has been busy with a couple different Gallery shows. 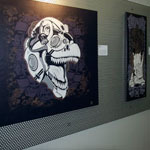 You can see some photos from the Blackout Creations show over at the HydroBlog. •Another show that went over well was over at Cosh in London. •Lastly, I updated the Buy Section. Hopefully it's easier. If anyone has any suggestions on shopping cart tools, let me know! JUST ADDED : 20 New type treatments into that section. Just a little delay in getting them up. One interesting piece is the Xgames treament. I was over at JC Pennies the other day and noticed it was used as a central part of their branding of the new kids line. That was quite exciting, as well as a pleasure to know the ESPN was happy enought with it to make it a central piece. If you are ever in the Orlando area and want to grab coffee, drop me a email. Always looking for reasons to get out of the office! Hydro74 has been quite busy lately with some exciting projects. 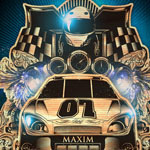 One recent project that has been quite a bit of fun was some illustration work for Maxim Magazine. 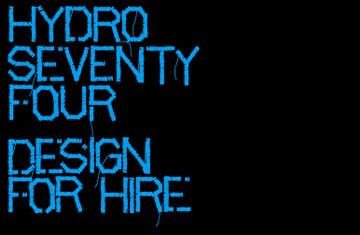 For the last two issues Hydro has been a regular contributor with another project on deck from them. Another exciting project has been some apparel development for Transformers via Hasbro. Recent site updates include some Typography work, Illustration work for XGames, Quiksilver & Kink BMX. Over the next few weeks keep checking back. 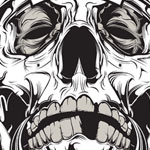 Lastly, the Hydro Blog is a good place to check out some works in progress, free vector pieces as well as a tutorial or two. 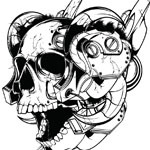 Blackout Creations is throwing a small gallery show called Robot Invasion. 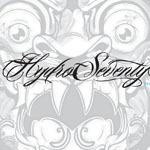 Hydro74 is on the artist line up along with Julie West, Rob Schwager & other amazing illustrators. Should be a good show. I will be attending and selling some shirts and canvas prints. Hydro had the great opportunity to have a feature done on him in IdN Magazine. Should be hitting soon. Also, pick up a copy of Tres Logos & Iconology. Have a few pieces in there to represent.